Charge up those iPads because there are going to be five new Netflix Originals for Families in 2018! Some big-name characters are coming to Netflix that are going to give kids something new to stream. Check out the list below and let me know which ones your kids are looking forward too! 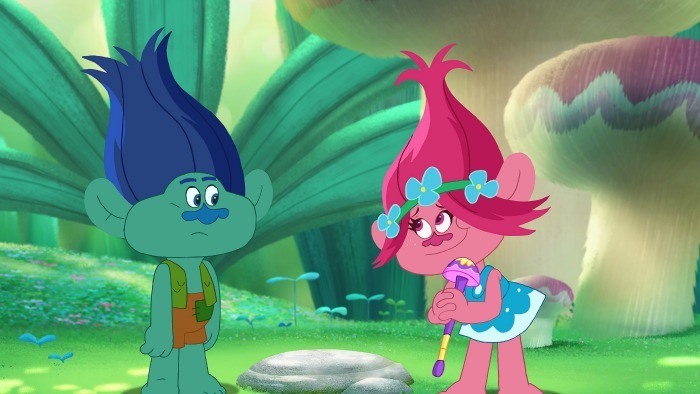 The new Trolls Netflix Original Series picks up where the film left off with an all-new chapter in the the endlessly upbeat adventures of the Trolls. Poppy, Branch and all of Troll Village keep the party going in their fantastical forest home. Voice actors include Skylar Astin (Pitch Perfect 1 and 2) and Amanda Leighton (This Is Us, The Fosters) as the voices of Branch and Poppy. There will be original songs that are written and produced by Alana Da Fonseca (Pitch Perfect 3) and you can pre-order the music from season 1 of Trolls: The Beat Goes On! on iTunes, Amazon and Google Play. The Netflix Original She-Ra Series is a modern take on the ‘80s girl power icon for a new generation of young fans. The trailblazing property originally debuted in 1985 to satisfy overwhelming demand for a female lead fantasy series. With Stevenson’s unique voice at the helm, fans are in store for an epic and timely tale that celebrates female friendship and empowerment, lead by a warrior princess tailor made for today. My twins are going to be excited for The Boss Baby Netflix Original Series! With the help of his big brother and partner-in-crime Tim, The Boss Baby continues to navigate the cutthroat corporate jungle gym of Baby Corp, while angling to achieve the near-impossible: the work-life balance of a modern career baby. Learn more about The Boss Baby: Back in Business that is coming to Netflix in 2018. From its never-ending games of kickball to the infinite flavors of its ice cream truck to the greatest climbing tree in the universe, every day on Harvey Street feels like a Saturday. And that’s largely thanks to the Harvey Girls – Audrey, Lotta, and Dot – the block’s self-appointed guardians and the world’s bestest BFFs. They will do whatever it takes to keep Harvey Street the best block to never grow up on and transform every afternoon into a wild adventure for the Harvey Street Kids. This is one my whole family is going to enjoy watching and it’s all thanks to my husband’s love for Captain Underpants that began long before we had kids! Based on the epic books by Dav Pilkey, DreamWorks The Epic Tales of Captain Underpants follows the adventures of George Beard and Harold Hutchins, two best friends who’ve bonded through their love of pranking, comic books and being the thorns in Principal Krupp’s side. Their fun gets them mixed up in adventures crazier than their outrageous comic books, which is when they call on their greatest creation: Captain Underpants!